Denise Hyacinth Joy B. Musni, MA Demography (MADEM) student and recipient of the UPPI Academic Excellence Award for the 1st semester of AY 2016-2017 has remained on top of the award in the succeeding 2nd semester of AY 2016-2017. This is the first time since the institution of the award in 2014 that a student received the award twice and in a consecutive manner. Before Musni, no student was able to receive the award twice. The UPPI Academic Excellence Award was introduced as a way to inspire and challenge UPPI’s graduate students. 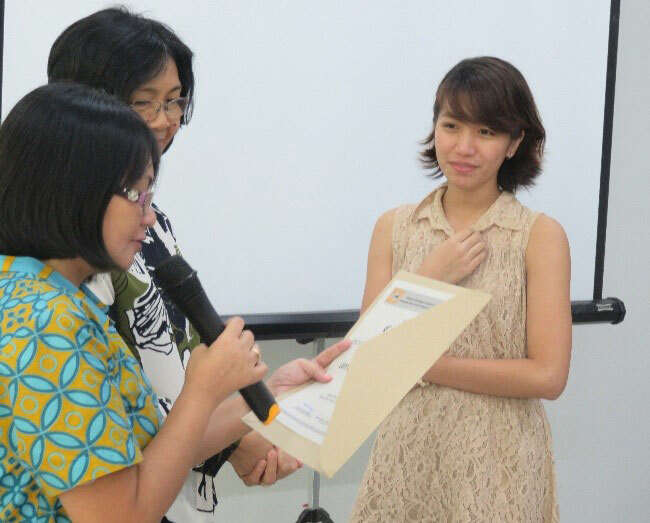 The grant is awarded to the student who garnered the highest GWA. The recipient receives a certificate and a cash prize. UPPI alumni contribute for the latter.